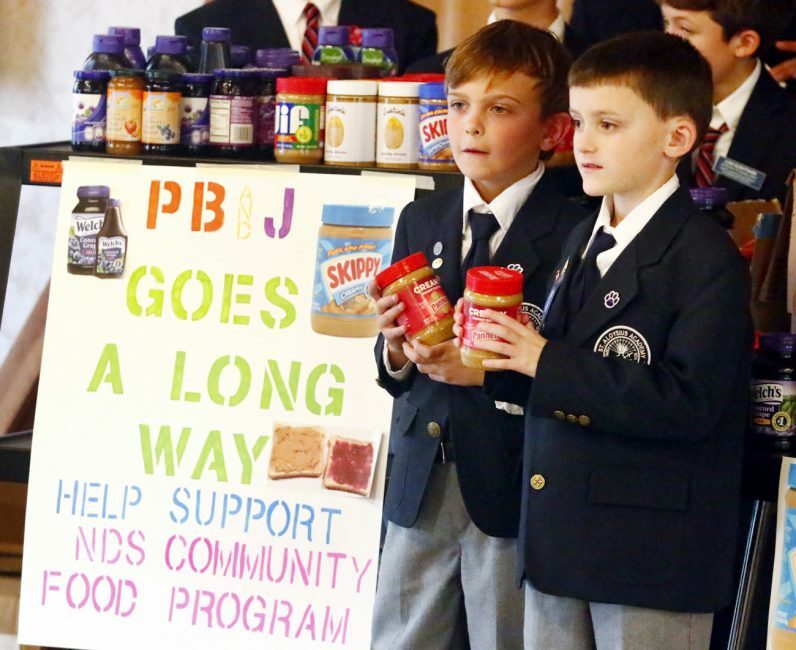 Nutritional Development Services (NDS) of the Archdiocese of Philadelphia celebrated the successful completion of its 2016 Peanut Butter and Jelly Drive in conjunction with archdiocesan schools. 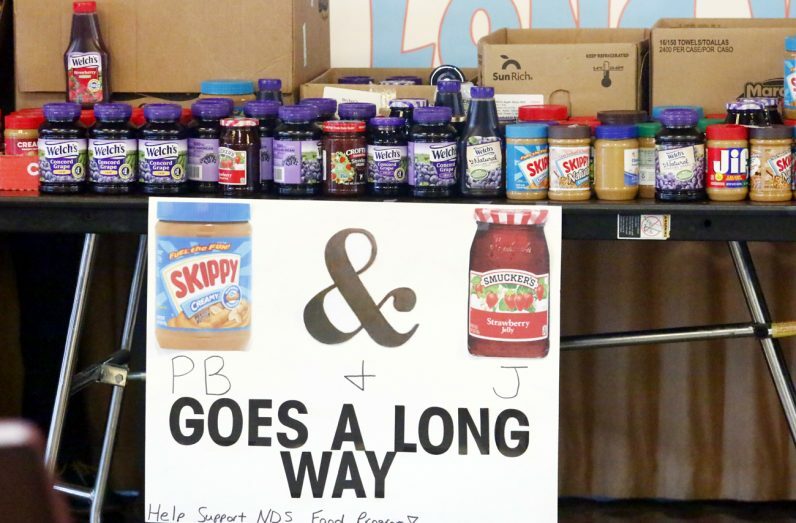 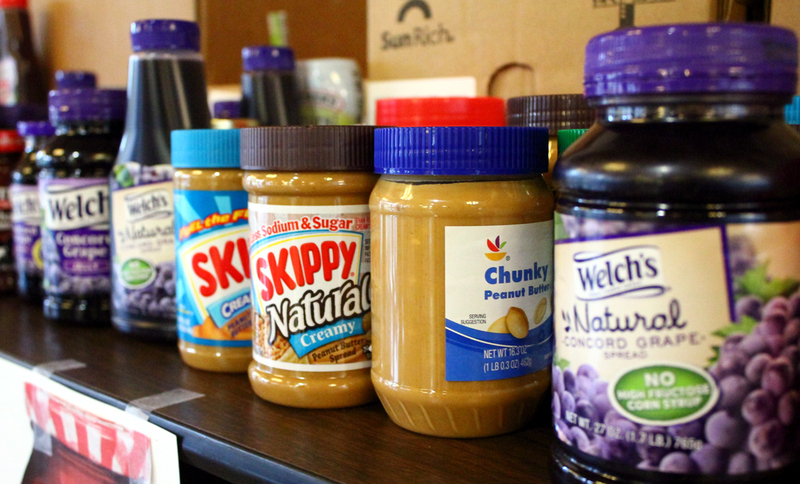 Nearly 50,000 pounds of peanut butter and jelly were collected to stock local food cupboards. 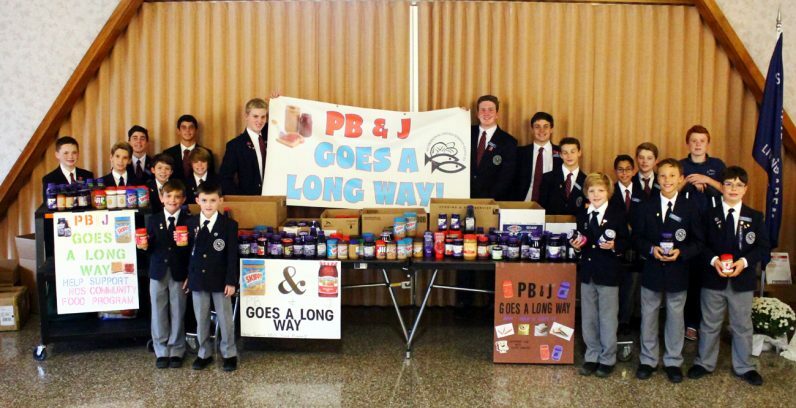 On Thursday, Nov. 3 NDS recognized students from St. Aloysius Academy, a private Catholic school for boys in Bryn Mawr, for its participation and continued support of the annual drive and other year-round food collection efforts that include donations to St. John’s Hospice and Mother of Mercy House, Thanksgiving food collection for those in need at St. Cyprian Parish in Philadelphia, and participating in the Walk Against Hunger. 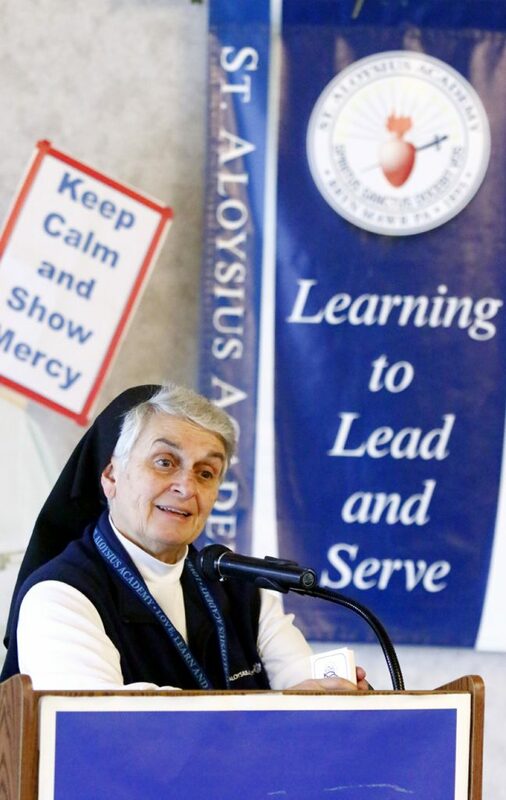 At right, the principal of St. Aloysius Academy in Bryn Mawr, Sister Stephen Anne Rodriguez, I.H.M., welcomes Lorraine Knight (left) and Anne Ayella from archdiocesan Nutritional Development Services. 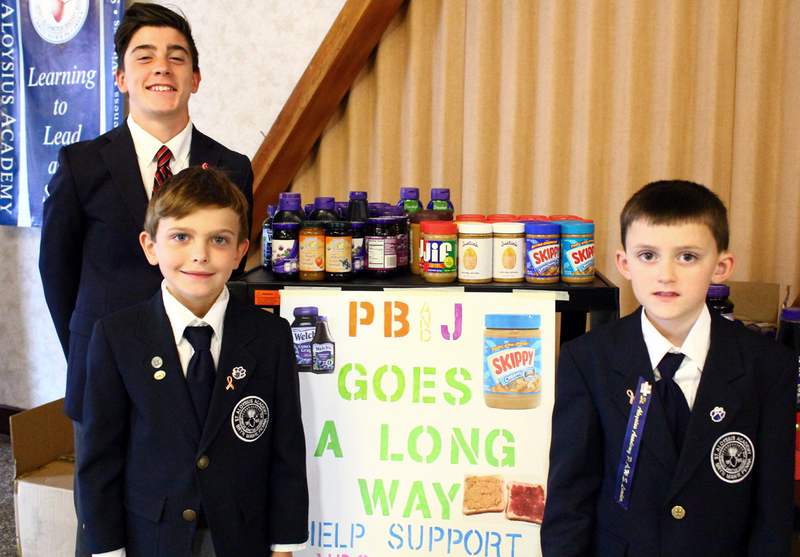 Nick Giangiulio, student body president, Shawn Rinnier, who collected 48 jars, and Jack Gress, who collected 25 jars, represent St. Aloysius Academy, which surpassed its goal of collecting 500 jars of peanut butter and jelly for Nutritional Development Services. Principal Sister Stephen Anne Rodriguez, I.H.M., commends St. Aloysius students for their efforts. 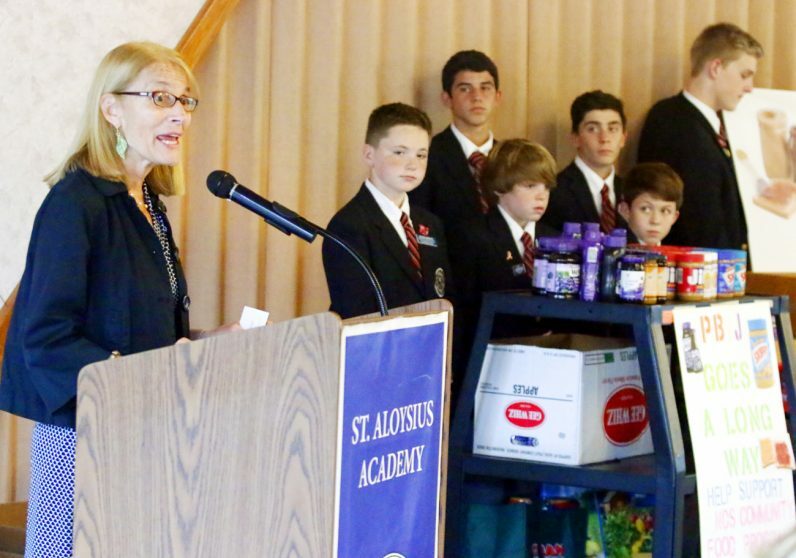 She reminded them to have gratitude and not to feel bad for what they have as long as they are grateful and share it. Student body president Nick Gianguilio welcomes guests and thanks fellow students for their donations of peanut butter and jelly. 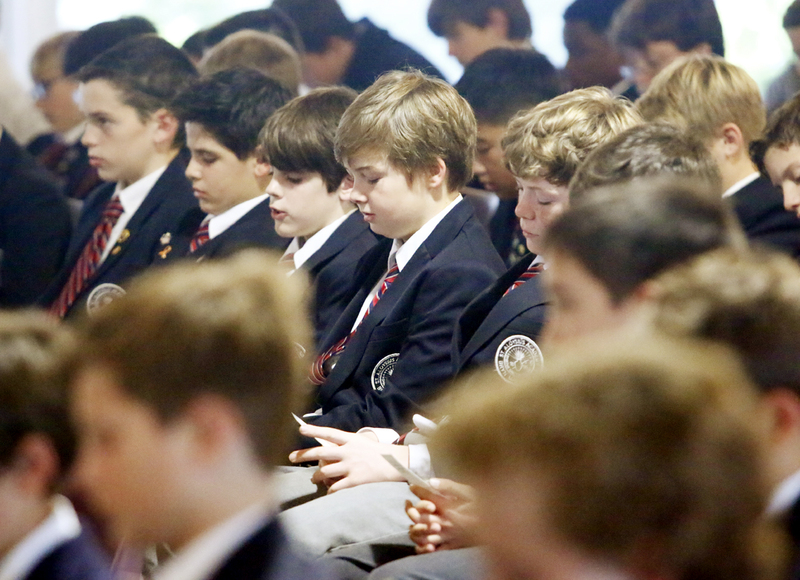 Michael Parisano leads students in prayer. 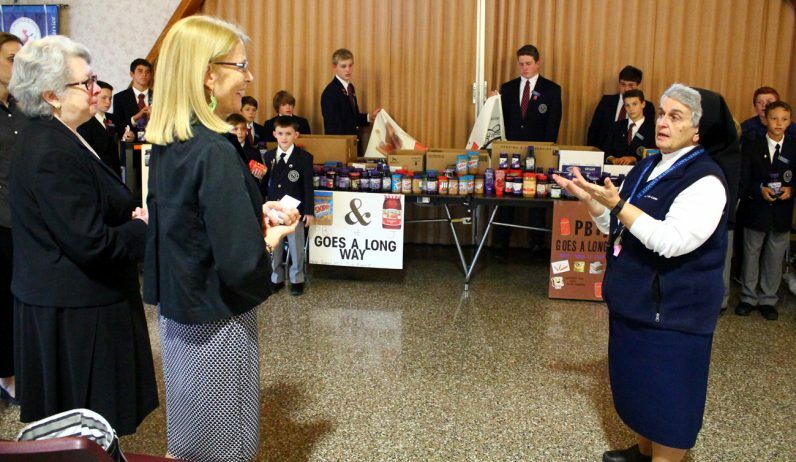 Anne Ayella of NDS thanks students for their contributions to the drive. 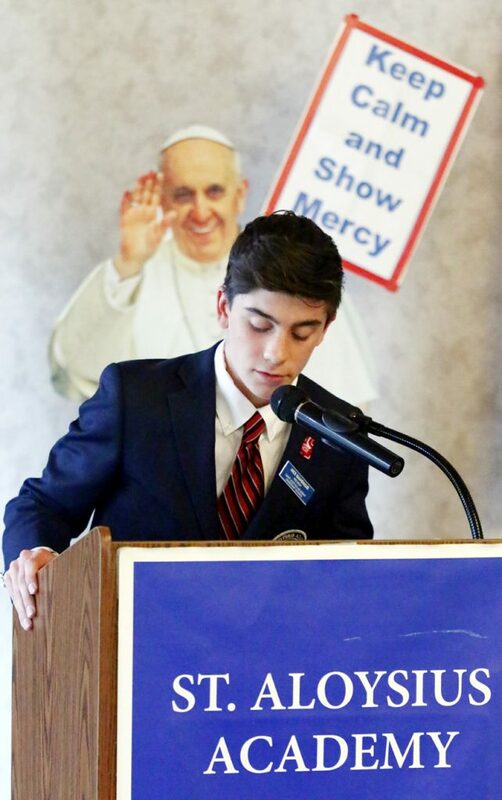 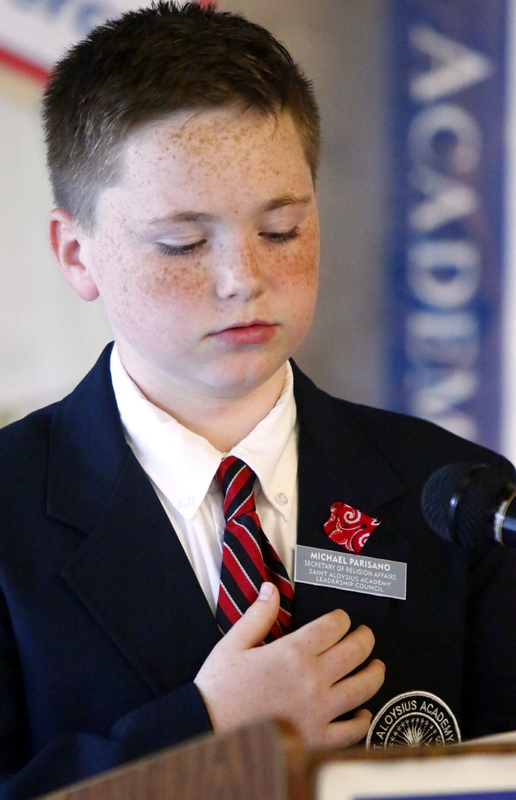 Ryan Gaffney, secretary of the Leadership Council at St. Aloysius Academy, shows the prayer card given out by NDS. 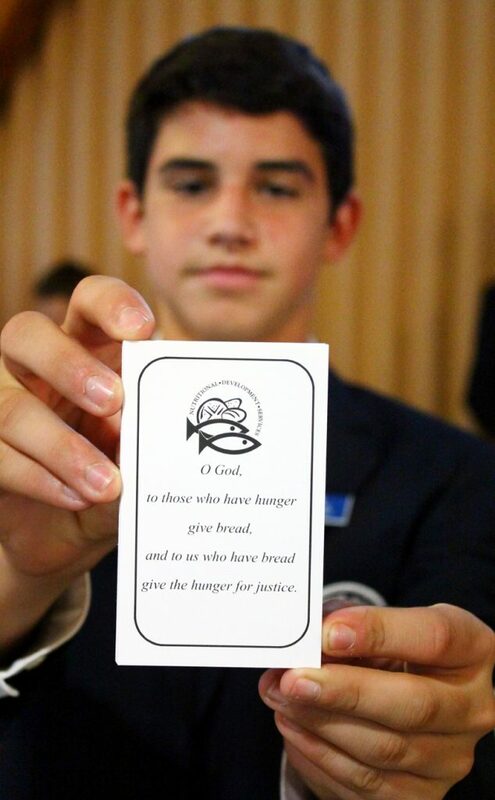 Students are given prayer cards to pray for those who go hungry. 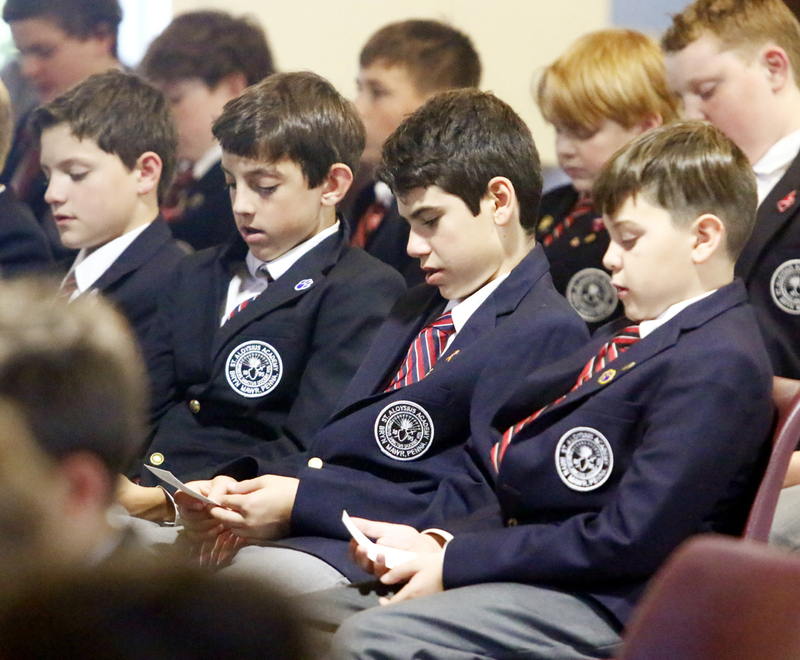 The young men of St. Aloysius Academy pray for those in need. Shawn Rinnier (left) and Jack Gress collected the most jars which helped St. Aloysius Academy surpass its 500-jar goal.